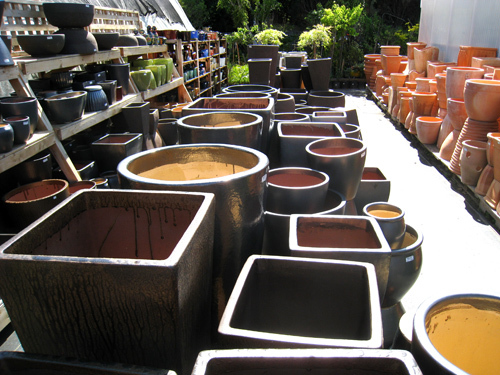 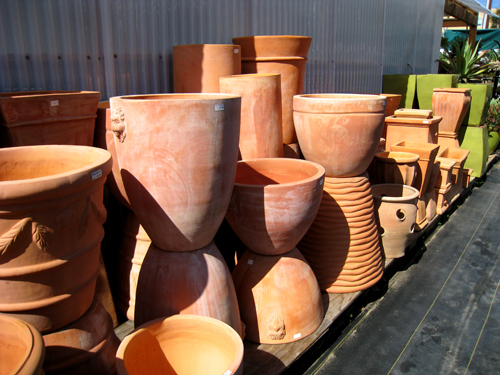 One of the first things you’ll notice as you walk through our nursery is the incredibly large selection of pots & pottery in a rainbow of colors, shapes, sizes, styles and finishes — Something to suit every need! 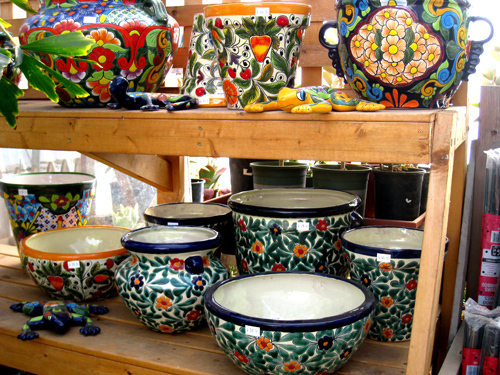 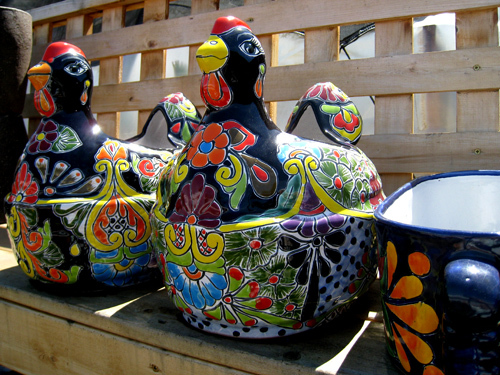 You will discover a beautiful selection of glazed pots from Asia, terracotta from Italy, and hand-painted “Talavera” pots from Mexico. 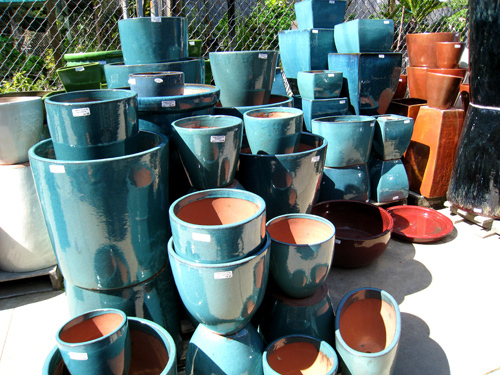 Our bonsai pots come in a variety of sizes and colors, both glazed and unglazed, ideal for you to create your own bonsai or even start a small succulent garden. 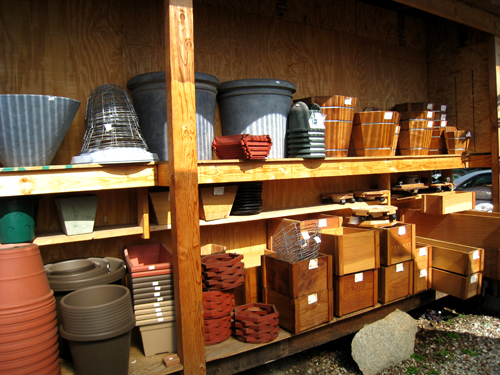 Our durable and affordable redwood planters have many uses in the landscape. 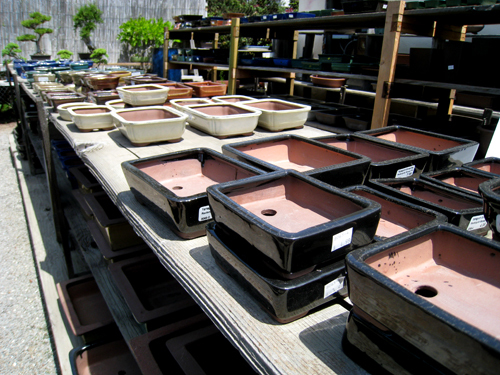 Use the long window boxes for trailing geraniums or for planting vegetables and herbs. 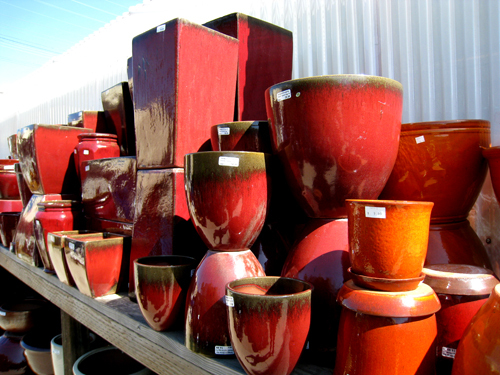 The tall, sleek urns are perfect for grasses, bamboos and spiraling junipers. 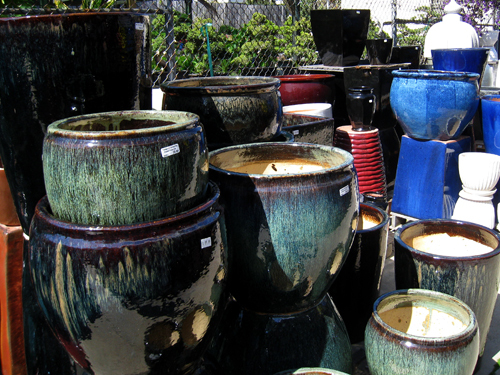 Let’s just say that we feel pretty confident that you’ll find the pot of your dreams at Yamaguchi!